^ Kranzler, Henry R.; Ciraulo, Domenic A. (2 April 2007). Clinical Manual of Addiction Psychopharmacology. American Psychiatric Pub. p. 216. ISBN 9781585626632. ^ a b Abuse, National Institute on Drug. "Hallucinogens". Retrieved 14 July 2018. 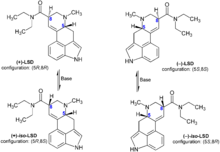 ^ a b c d e f g h i j k l m n "LSD profile (chemistry, effects, other names, synthesis, mode of use, pharmacology, medical use, control status)". EMCDDA. Retrieved 14 July 2018. 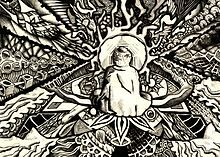 ^ "How LSD Went From Research to Religion | JSTOR Daily". JSTOR Daily. 19 July 2016. Retrieved 14 July 2018. 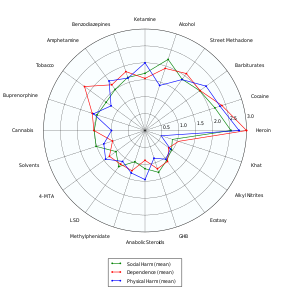 ^ a b c d "Commonly Abused Drugs Charts". National Institute on Drug Abuse. 2 July 2018. Retrieved 14 July 2018. ^ Nofil, Brianna. "The CIA's Appalling Human Experiments With Mind Control". History Channel. Retrieved 14 July 2018. ^ a b Nutt, David J.; King, Leslie A.; Nichols, David E. (2013-08-01). 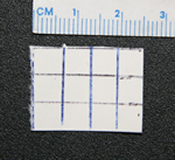 "Effects of Schedule I drug laws on neuroscience research and treatment innovation". Nature Reviews Neuroscience. 14 (8): 577–585. doi:10.1038/nrn3530. ISSN 1471-003X. PMID 23756634. ^ Middlefell R (March 1967). "The effects of LSD on body sway suggestibility in a group of hospital patients" (PDF). Br J Psychiatry. 113 (496): 277–80. doi:10.1192/bjp.113.496.277. PMID 6029626. Archived from the original (PDF) on 2011-04-30. ^ Papac DI, Foltz RL (May–June 1990). "Measurement of lysergic acid diethylamide (LSD) in human plasma by gas chromatography/negative ion chemical ionization mass spectrometry" (PDF). Journal of Analytical Toxicology. 14 (3): 189–190. doi:10.1093/jat/14.3.189. PMID 2374410. Archived from the original on April 29, 2011. Retrieved September 17, 2009. ^ Thompson, Thomas (16 June 1967). "The New Far-Out Beatles". Life. Chicago: Time Inc. p. 101. Retrieved 8 Dec 2016. ^ "Controlled Substances in Alphabetical Order" (PDF). dea.gov. 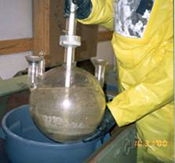 U.S. Drug Enforcement Administration. Retrieved 29 May 2018. ^ a b "La nueva tabla para consumo de drogas es una guía para jueces". Archived from the original on 22 June 2013. ^ Feynman, Richard P. (1985). Ralph Leighton, ed. Surely You're Joking, Mr. Feynman! : Adventures of a Curious Character. W. W. Norton. ISBN 978-0-393-01921-6. OCLC 10925248. ^ Alderson, Jeremy (April 20, 2010). "Q&A with Jerry Garcia: Portrait of an Artist as a Tripper". Relix Magazine. Archived from the original on May 21, 2010. Retrieved 2013-06-29. 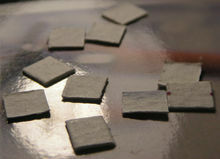 ^ "Lucy in the Sky with Diamonds LSD". snopes.com. Retrieved 2012-06-20.